Early armorial bearings for the Babington , Nevil and Leake families of the 13th and 14th centuries were said to be visibly incorporated into certain church windows as late as 1840 but unfortunately no longer exist. Later centuries are well represented by various arms and plaques. 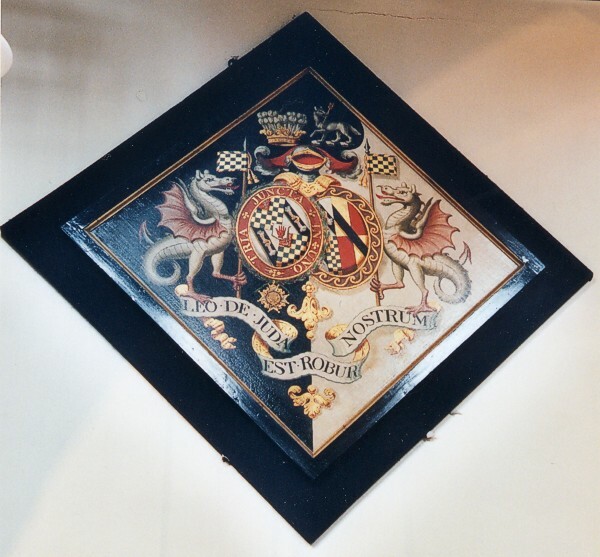 The most colourful of these is a carved wooden memorial bearing the arms of the Powtrell family, dated 1623 and depicted in red, white and gold on black. It is located on the east wall of the chancel. Also on the east wall is the alabaster memorial plaque to John Mather, Vicar of Attenborough, 1586-1625. Also mentioned are his two wives, Elizabeth and Joane. 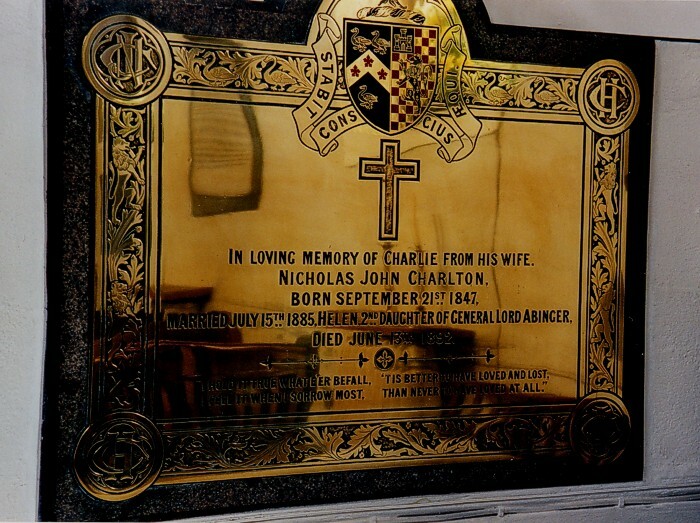 The north wall of the chancel holds a brass plaque commemorating the Foljambe family who were for three centuries connected with the church. Also on this wall is a memorial to Francis Jaques, alias Gambard, of Toton and his wife and children. 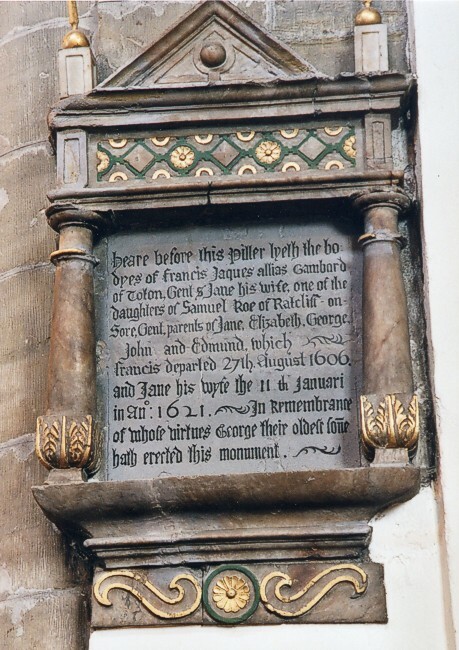 Francis died 27 August 1606. The inscription tells us, that the memorial was erected by George, the oldest son. 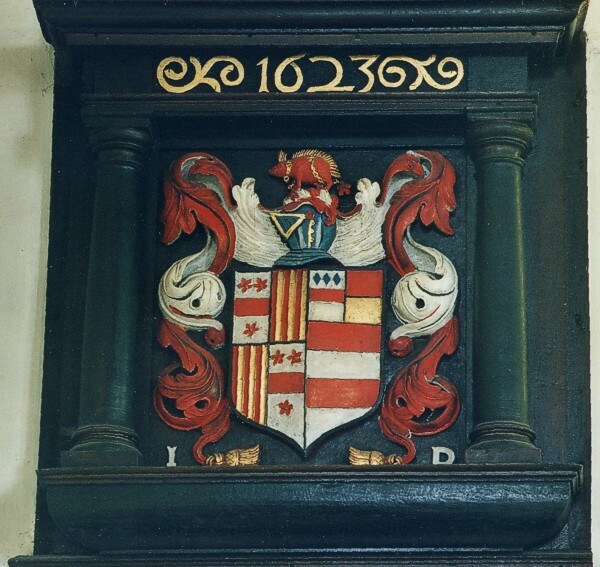 High on the wall of the north aisle are the Warren arms, a hatchment measuring 5'x 5'. This is associated with Admiral Sir John Borlace Warren, grandson of Arthur Warren and the heiress of Sir John Borlace. He was created a baronet in 1775. Also hanging high on the north wall are the royal arms of George III. The south aisle wall displays the arms of the Charlton family, lords of Chilwell manor. 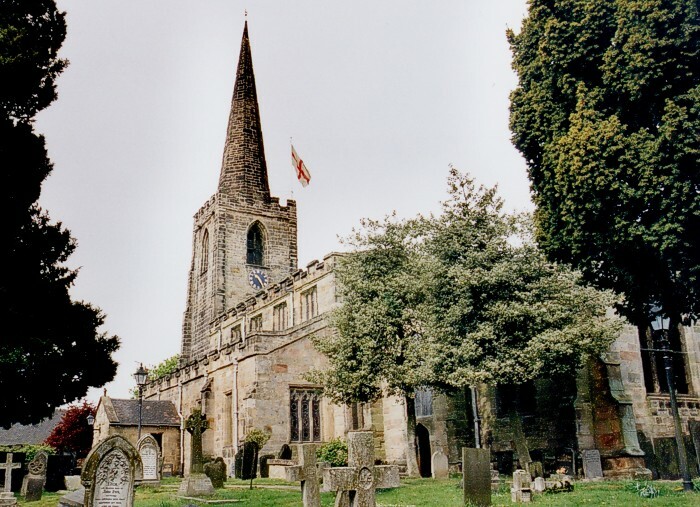 Records legacy of £300 bequeathed by Alfred Chapman for keeping the church yard in good order particularly the graves of John & Harriet Chapman, Henry & Horace Chapman, and Alfred & Florence Chapman. There are also within the church, hand stitched tapestry kneelers - many of them commemorating the lives of former members of the congregation.